Meet Mandy Scott at Goodwill in West Allis! 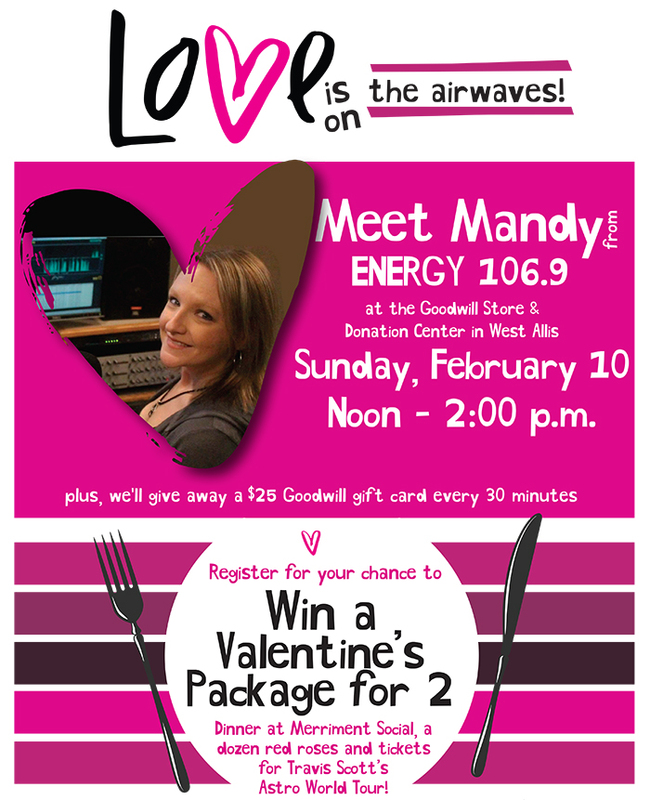 Meet Mandy Scott from Energy 106.9 at the Goodwill Store & Donation Center in West Allis on Sunday, February 10 between noon and 2 p.m. While you're there, register for your chance to win a Valentine's Package for 2 including dinner at Merriment Social, a dozen red roses and tickets for Travis Scott's Astro World Tour! And, we'll be giving away a $25 Goodwill gift card every 30 minutes!